Meet Me In Paris is a memoir of a short time in the author’s life; it covers a period of only two to three years. It closely follows the ending of her marriage, taking on a “married-but-in-an-open-relationship” lover, the divorce, and how she works through her own demons to learn to make herself happy. This is not a happy book. It beautifully covers visiting France and the magic of the country, but that’s where the good stuff starts and ends. The ending of any marriage is never good, but I feel like it is made light of and almost mocked in the beginning of this book. But before I get into my cons, I want to say that I finished this book in less than 24 hours and could not put it down. I have numerous pet peeves about the book, but, aside from a rocky beginning, it is written well and certainly conveys the emotion the author was feeling at this time in her life. I cried at two different points in the book and got choked up at a few other places. Despite making light of it, she really was deeply affected by her divorce and I wish she hadn’t taken away from that by making jokes about it. Personally, I would have preferred the book to be centered more on her affair with Paris than her lover and ex-husband, with the latter two still making an appearance just not the star of the show. 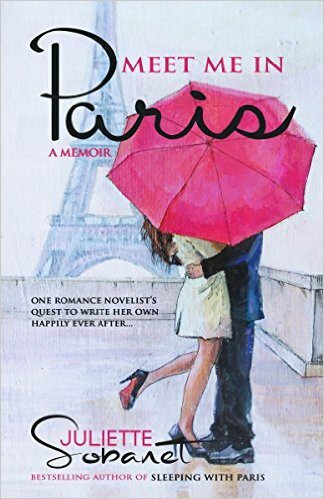 This is the author’s first memoir; she generally writes romance novels, some set in Paris. I am curious enough that I think I will check some of them out. She also recently released a book of poetry to correspond with Meet Me in Paris. I am looking forward to reading that one as well.